I have a confession to make: I'm a huge movie fan and buy a ton of them on Google Play every week. I also keep my TV show collection there and find myself watching at least one episode of Game of Thrones, The Flash or something else every night. Android TV is a great platform for me to be able to do this. I still have a Nvidia Shield TV that I got right when they came out, about two years ago and it's held up great during that time. I also have a few 4k TVs in my apartment and want to take full advantage of them whenever I can. 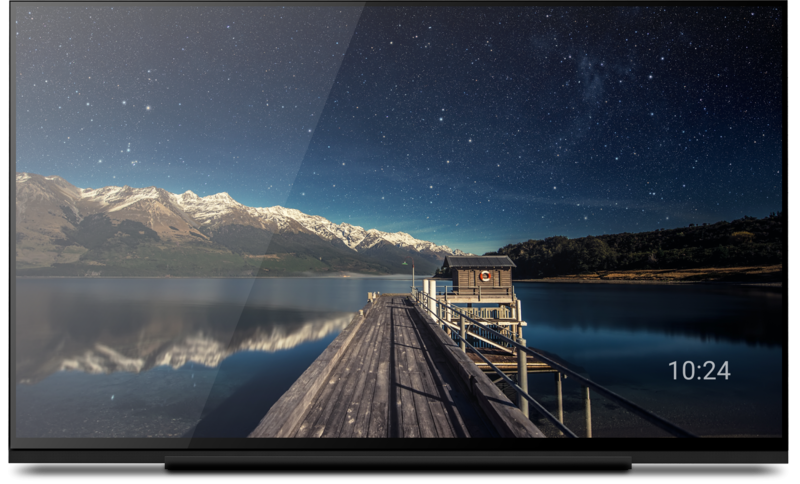 For that reason, I was pretty bummed when I realized that the screensaver that Android TV comes with doesn't serve 4k images at all. They all look extremely grainy and bad, in my opinion. So, being a well-versed Android developer, I took it upon myself to create a screensaver that serves much crisper images! For those of you interested in the implementation details, you can check out the GitHub project. Basically, it just creates a daydream service that displays a clock and ImageView and then updates the background every 20-40 seconds with a new image. It pulls from a pool of just under 60 images and randomly selects one to display next. I made that project about a year ago and it has worked fine for me until I recently got the Android Nougat update for my TV. Instead of showing the image it would just display a black background with the clock, so I spent some time fixing it up and now it's fully working again. The app isn't on Google Play right now, but you can download it and manually install instead. Once installed, just go into the screen saver section of settings and choose Dream Scene, then you'll be good to go. Let me know what you think, if you try it out, or if you have any more images you would like added to the rotation! If you are interested in me putting it up on the Play Store so that it's easier to install, shout out in the comments below and I'll consider doing that as well. Pretty small project, but a useful one, if you are anything like me.